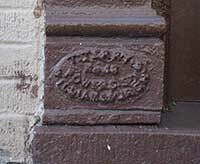 Brooklyn's Eastern District, by Eugene L. Armbruster, first published 1928, says, "Thomas Terry's Iron Foundry was in 1855 on Powers Street between Union Avenue and Lorimer Street." The 1912 issue of the same publication contains this image of the foundry in 1852 when it was located at 350 Grand St., Brooklyn. Smith's Brooklyn Directory for 1856 listed "Thomas Terry, Hardware" at 352 Grand St., with a foundry on Powers St. near Union Ave. Other Brooklyn city directories (such as the Hope & Henderson directory dated 1856-57) located Thomas Terry's foundry on Powers St. near Union Ave. from 1856 to 1869. 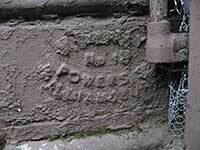 They were also listed at 14 to 18 Powers St. from 1864 to 1876, and at 26, 28 and 30 Powers St. from 1872 to 1889. 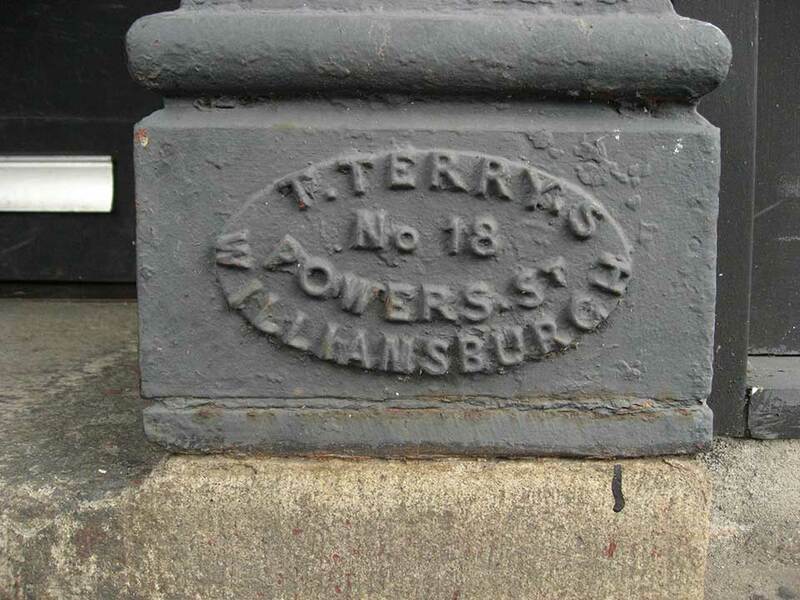 The proprietor was Thomas Terry (1810-1891). He appears in several Census reports ranging from 1860 to 1880. In 1860 he was 50 years old with a family including five children ranging in age from 20 down to 5. In 1870 he was 61 with four children still at home, including Samuel, 21, a bank clerk, and John, 17, a telegraph operator. In the 1875 New York State Census he was recorded living at 1012 Gates Ave., Brooklyn, age 64, born Suffolk County (presumably Suffolk County, NY, on Long Island). 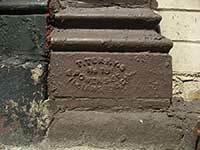 In the 1880 U. S. Census Thomas Terry still lived at 1012 Gates Ave., now age 67. He lived with his wife, Margaret, but there were no longer any children in the family. 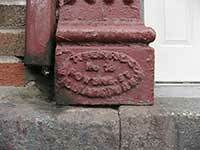 The 1880 U. S. Census Non-Population Schedules recorded the Terry Iron Works, Kings County, Brooklyn, with data that indicate a modest enterprise. The value of the past year's product was $20,305. Total annual wages paid to an average of 13 males over the age of 16 was $5814. The value of materials on hand was set at $10,000. The equipment available was one steam powered engine capable of 10 horsepower. On Thomas Terry's death in 1891 the following notice appeared in the Brooklyn Daily Eagle, 10 July 1891, "Terry - Thursday, July 9, 1891, Thomas Terry, Sr., in the 81st year of his age. Relatives and friends are respectfully invited to attend the funeral services from his late residence, 937 Lafayette av. Brooklyn, on Saturday, July 11, at 2 o'clock P. M. Interment at convenience of family."